We have added a timesheet timer that you can use to track the exact time spent on current tasks. To launch the timer simply click on the timer icon on the toolbar. When the Timer window launches select the task, enter some notes (optional) then hit the ‘Start Timer’ button. Once the timer is started you can pause it or resume it as needed. 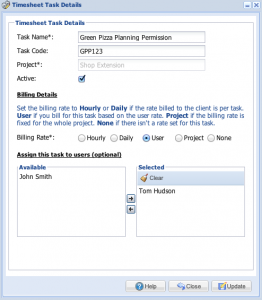 When the task is done click the ‘Stop Timer’ button which will save the progress as a timesheet item. 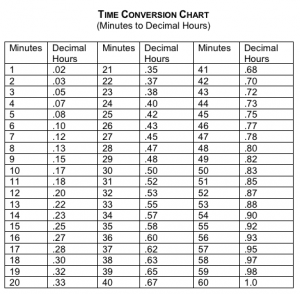 Please note that seconds are rounded half way up to a minute. 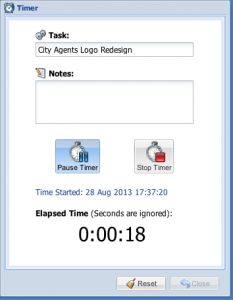 The timesheet item saved by the timer can be edited like any other timesheet entry on the ‘Update Timesheet Window’. 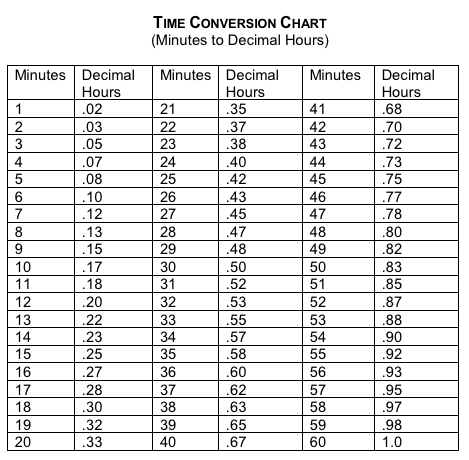 OfficeMA Timesheet uses the following conversion chart to convert minutes into decimal hours and vice versa. 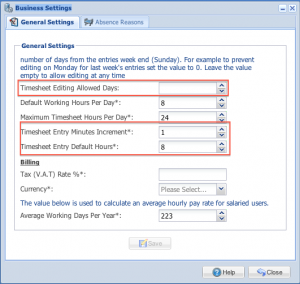 and Timesheet Entry Default Hours. 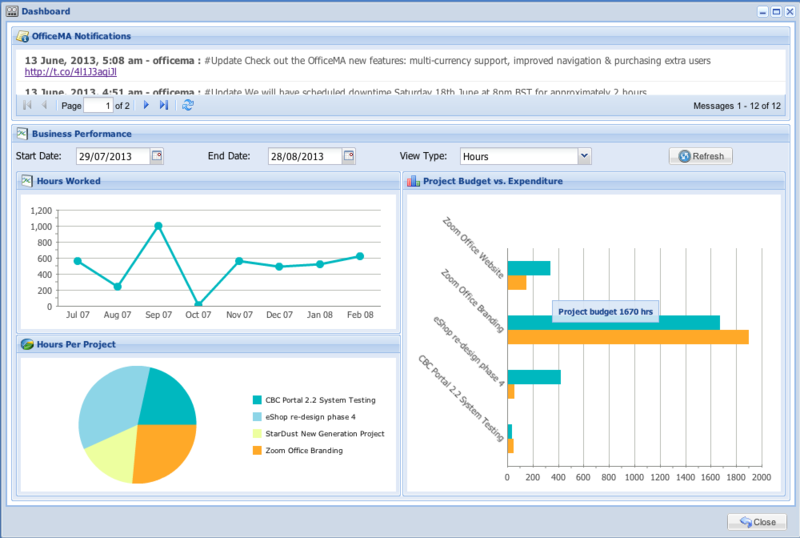 Administrators now have the ability to lock the editing of past timesheet entries for limited users. 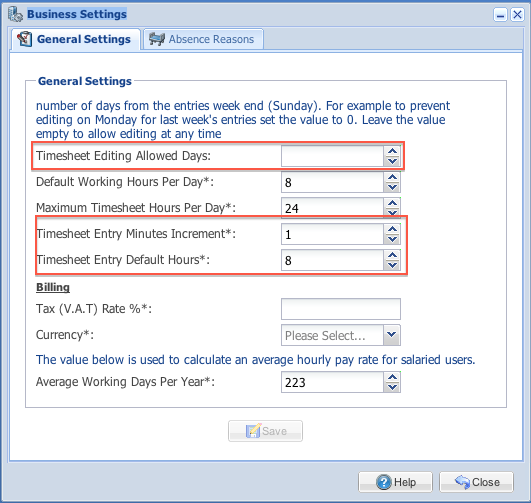 This can be controlled by setting the ‘Timesheet Editing Allowed Days‘ field in the ‘Business Settings’ window (above). An empty value for the ‘Timesheet Editing Allowed Days‘ field means limited users can add, modify and delete their previous timesheet entries (this is the default setting). The OfficeMA timesheet week starts on Monday and ends on Sunday, so as an example if we consider week commencing 19th August, if you enter a value of zero OfficeMA will lock any entries for this timesheet week on Monday 26th Aug. A value of 4 would allow editing entries for this week until Friday 30th August. 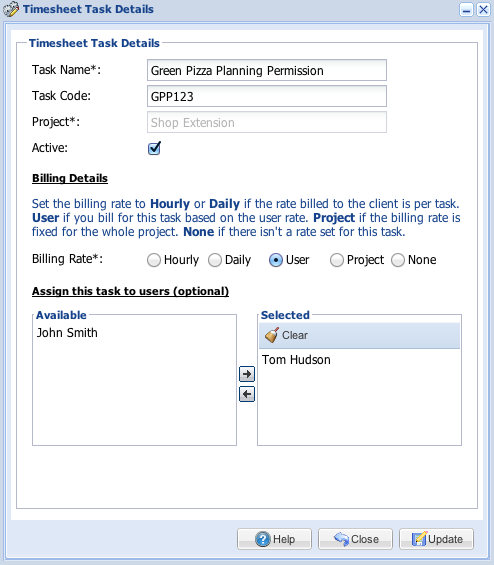 You can now assign codes to tasks and OfficeMA Timesheet will show the code as part of the task name throughout the application. There is now a ‘None‘ rate option if the task does not have a rate or if you do not wish to assign any rates for the task. You can now assign tasks to users directly from the task window. 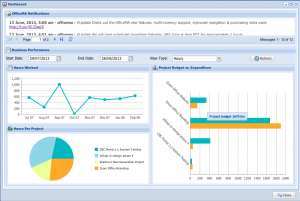 This also provides a good way to find out all the users that are assigned a particular task. 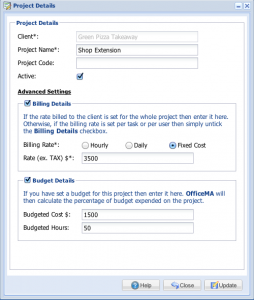 Billing rate for projects now have a ‘Fixed Cost‘ option for fixed cost projects. 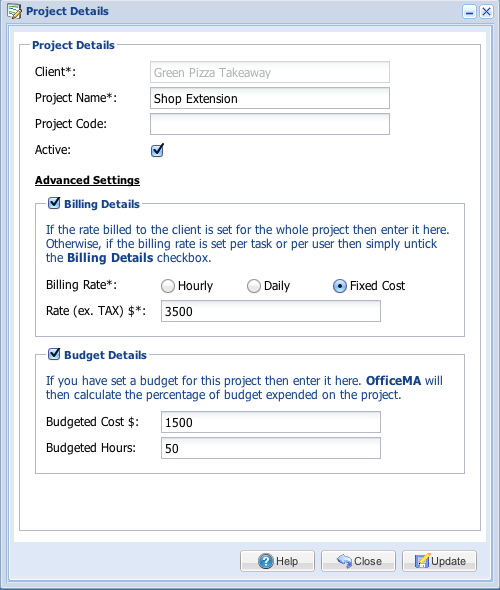 You can also add budget details such as budgeted cost and budgeted hours to projects.